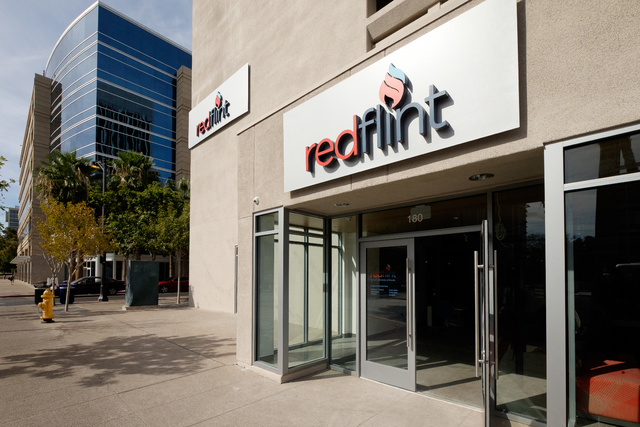 Welcome to the RedFlint experience center in downtown Las Vegas. 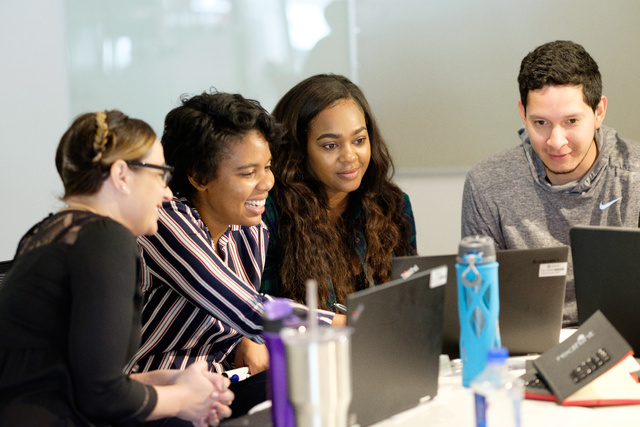 The initiative of the University of Phoenix that opened Oct. 15 in the Bank of America Plaza provides a hands-on learning environment to spark innovation in large, mid-sized and small companies. It’s the classroom for the Southern Nevada business community, aspiring entrepreneurs and for those wanting to improve their skill set in working with technology. It provides startups and established businesses with access to the latest technology and business ideas to help them perform at a high level today and learn how to be nimble and relevant for tomorrow, said Dennis Bonilla, executive dean of the University of Phoenix College of Information Systems &Technology. The concept of the learning center started 18 months ago with a series of meetings with entrepreneurs and the hospitality and gaming industry about Las Vegas becoming more of a “smart city and innovation hub,” Bonilla said. “We weren’t sure what the components were going to be, but we wanted to focus on business, entrepreneurship and technology and combine them under one roof,” Bonilla said. The idea was to create a campus with foot traffic, hence the choice of downtown, where anybody from the community could come in with an Apple store-type of environment, except it’s for education, Bonilla said. The center has lured a variety of employers, nonprofits, teachers, students, parents of those students and budding entrepreneurs, Bonilla said. They’re taking advantage of free workshops or participating in workshops in which a fee is charged. The curriculum will be built over time to make it more formal, Bonilla said. Classes can be anything from hours to all-day events to sessions over four to five weeks and more than three months. 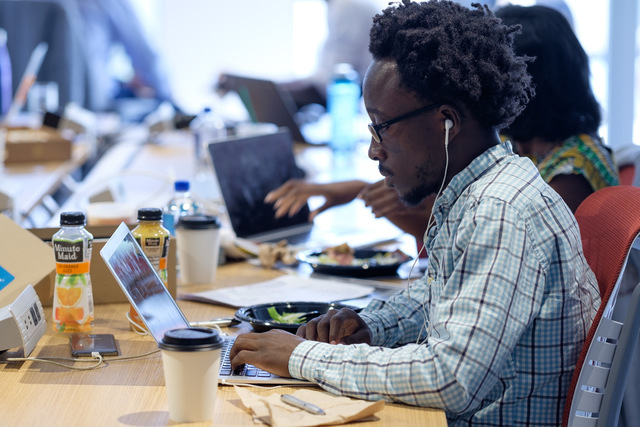 Companies are using the center to build skills for their information technology staff by having them take a class or participate in a workshop or cloud computing, Bonilla said. Traditionally, companies have brought in experts from out of town or sent their employees to conferences in other cities. Even if companies want to bring in a specialist to their site, employees won’t have the equipment for training because it’s in live production. The center allows people to come in and use the technology and make errors and mistakes and learn from them without causing a disruption to a business, Bonilla said. The first area of employee training at the center is data analytics and visualization. People learn basic skills, data retrieval and cleaning, interpretation and presentation. Second is cyber security and learning about its fundamentals and what hacking is and how to detect and prevent intrusions. Third is virtual reality and augmented reality and how these leading-edge technologies are becoming more popular in businesses. Fourth is distance-based education and delivery and use of virtual conferencing and robots. In addition to the technology component of the center, entrepreneurial concepts, such as how to create business plans, how to apply for business loans and how to start a company, are taught. 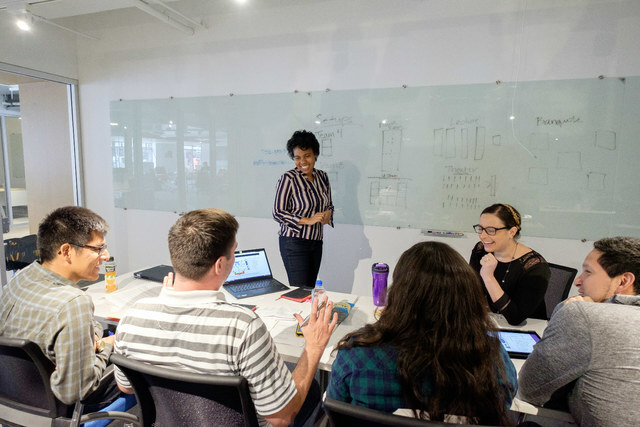 RedFlint worked with seven companies before the center opened this fall, working with them for three months on business principles, use of technology and getting their products to market in a matter of months rather than a year or two. Seven companies in the accelerator program have different products they want to present to the hospitality, gaming and entertainment industry, Bonilla said. Investors were brought in for the companies who would give out an equity stake for capital. One of the startups at the center in Snagg.io, a deal management platform for businesses sometimes compared to Groupon. CEO Beifa Somda said his concept is better than Groupon because companies don’t have to discount prices or share revenue with the company. Instead, they pay between $190 and $300 a month to get their offers out to potential customers and analyze how effective it is. Fliers and billboards aren’t good ways to track promotions, he said. Bonilla said the biggest mistake many startups make is trying to get everything perfect other than focusing on their product. The center guides them through capitalization tables and legal documents so they can focus on what they’re developing and selling. The No. 1 advice Bonilla said he has for those thinking of starting a business is to start. The center is open from 11 a.m. until 10 p.m. Monday through Friday and 11 a.m. to 3 p.m. Saturday. The center’s name originated from the color red part of the logo of the University of Phoenix, and flint represented the spark of ideas, Bonilla said.